Since retiring from the papacy in 2013, the first Pope in over 700 years to do so, Pope Benedict has lived quietly in a convent in the Vatican gardens in Rome. He has devoted himself to a life of prayer and study and has vowed to remain silent, until now. So much controversy still surrounds Pope Benedict's time in office. 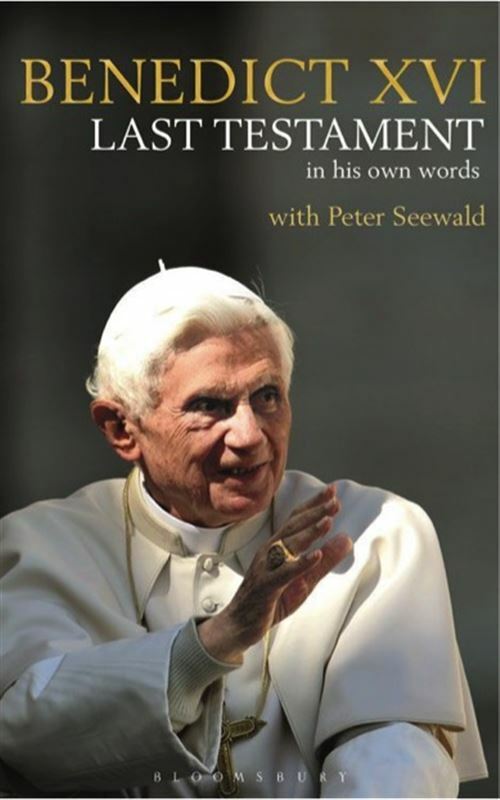 In this book, written with bestselling German author Peter Seewald, he addresses the issues of his papacy and reveals how, at his late age, governing and reforming the Church was beyond him. Last Testament is also an autobiography, recalling Pope Benedict's childhood in Germany under Nazism, his early development as a priest, and eventually his appointment as Archbishop of Munich. After becoming Pope, his account deals with the controversies that rocked the Catholic world: how he enraged Muslims with his Regensburg speech, what he did and did not do to stamp out the clerical sexual abuse of children, the 'Vatileaks' scandal and how he broke up a gay cabal within the Vatican itself. At all times, we see a man who is shy and retiring and modest being exceptionally open and frank with the outside world. In this Last Testament, a unique book insofar as no other living Pope has had the opportunity to write an account having left office, Benedict gives in his own words an unprecedented view of the difficulties, the achievements and the consequences of his time as head of the Catholic Church worldwide.